Please reach out to Oak Park Temple clergy via our contact form. Max Weiss and his family came to the Oak Park Temple community in 2009. Ordained at the Hebrew Union College-Jewish Institute of Religion in 1997, he has served congregations in Wynnewood, Pennsylvania and Hoffman Estates, Illinois. 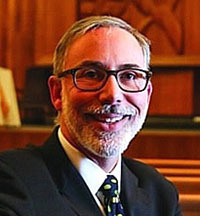 Rabbi Weiss currently serves as Chair of the Rabbinic Advisory committee of Olin Sang Ruby Union Institute and is active in interfaith dialogue and community outreach programs. He has particular interest in lifelong Jewish education and is passionate about American Jewish history. If you would like to schedule an appointment to talk, please email Rabbi Max Weiss or call the Temple office. Rabbi Daniel Kirzane was ordained from Hebrew Union College-Jewish Institute of Religion (New York City) in 2014. He has previously served The Temple, Congregation B'nai Jehudah in Overland Park, KS and Congregation Beth Haverim Shir Shalom, in Mahwah, NJ. Rabbi Kirzane is a member of the Wexner Graduate Fellowship Coordinating Committee and the HUC-JIR Rabbinical School Alumni Council and Alumni Leadership Council. He is also an active member of T'ruah: The Rabbinic Call for Human Rights. Rabbi Kirzane sustains an active interest in scholarship, education, and community-building. Email Rabbi Kirzane. 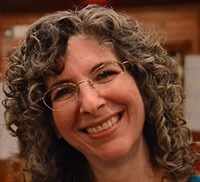 Cantor Julie Yugend-Green has served as Cantor of Oak Park Temple since 1997. She holds a degree of Master of Sacred Music from the Hebrew Union College - Jewish Institute of Religion and was ordained as Cantor in 1994. In 2019, Cantor Yugend-Green was awarded the Doctor of Music, honoris causa, in recognition of the 25 years since her ordination. Cantor Yugend-Green has instituted dynamic programs of music and study, engaging learners of all ages. She is committed to fostering our congregation's relationships with Jewish communities around the world, and has led several congregational tours of Israel and Eastern Europe. Cantor Yugend-Green is a founding member of the West Suburban Chevra Kadisha (Jewish Burial Society), whose members prepare the deceased for burial according to Jewish tradition. Email Cantor Julie Yugend-Green. 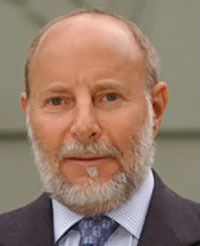 Gary S. Gerson served as Senior Rabbi from 1979 to 2009. Reflecting on his tenure, he is most proud of having facilitated a vibrant congregational program of adult studies that culminated in the building of our adult learning center. With this as a backdrop, upon his assuming emeritus status, the Rabbi Gary S. Gerson Chair in Adult Education was created and endowed. Through this vehicle, Rabbi Gerson continues to serve the congregation with his courses in Jewish text, Jewish thought, and the foundational texts of the Jewish mystical tradition. In addition, Rabbi Gerson continues to serve as a resource in other areas of congregational life.